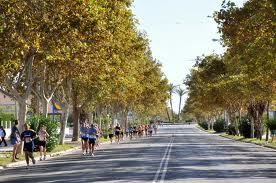 Murcia San Javier is situated between Almeria and the busy resorts on the Costa Blanca. One of Spain’s quieter destinations in terms of tourism, Murcia has over 200 kms of beautiful coastline known as La Costa Calida which translates as ‘Hot One’ due to its hot and arid climate. Other than the charter airlines, there are several carriers which fly into Murcia San Javier. Both Ryanair and easyJet operate low cost flights to Murcia San Javier, Spain and direct flights to Murcia San Javier, Spain can be booked on Jet2 airlines. For the best value for money and deals on the cheapest flights to Murcia San Javier, Spain, we recommend that you avoid the busiest times of year to travel such as Easter and the summer holidays. As well as being ideally located for tourists heading north to the Costa Blanca, the airport at Murcia San Javier is the perfect gateway for visitors to the popular peninsula of La Manga. Well known for its three championship golf courses, a warm water natural lagoon which offers all types of water sports and miles of stunning beaches, La Manga is also home to the luxurious La Manga club – a luxurious holiday and sports resort with world class sporting facilities. 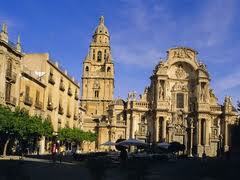 Head inland to the city of Murcia to appreciate its historic and cultural past. Its Arab origins are evident in the architecture of the beautiful buildings and the remains of the Moorish walls which can be found in the old quarter. Interesting attractions in Murcia include the Episcopal Palace with its Rococo façade and the 14th century Cathedral with its Baroque and Gothic influences. There is also a great choice of museums with exhibits ranging from sculpture, fine art and science to bull fighting. Here at Directflights we appreciate that our customers will be shopping around to compare prices on cheap flights to Murcia San Javier. Rather than having to try many different travel company sites, why not try our superb flight comparison search function which checks prices and availability with a great selection of travel companies and airlines so you don’t have to, saving you both time and money. Whether you’re planning ahead or need to book lastminute flights to Murcia San Javier, Spain, we can help you. Weather in Murcia is very mild, making it an ideal destination for holiday makers in both the summer and the winter months. Murcia and its surrounding areas are in the main sheltered by hills and high mountains, allowing for a kind of micro climate. This limits rainfall, and as a result the region enjoys sunshine for in excess of 320 days per year. The sun is at its hottest during the summer, with temperatures rarely falling below 30°C. Whereas the typically very mild winters, boast averages of around 18°C. The low humidity levels coupled with a mild climate, mean the WHO (World Health Organisation) have rated this part of Spain one of the healthiest climates on the planet.